This Wellness Network Playbook by Dr. Joseph Profit is the perfect companion to your exercise regimen! Follow along each week to lose weight and feel great in a matter of days! Now available for only $19.95 (+ shipping), this is the perfect gift to yourself or a friend. Served as the 14th Under-Secretary of the Army. 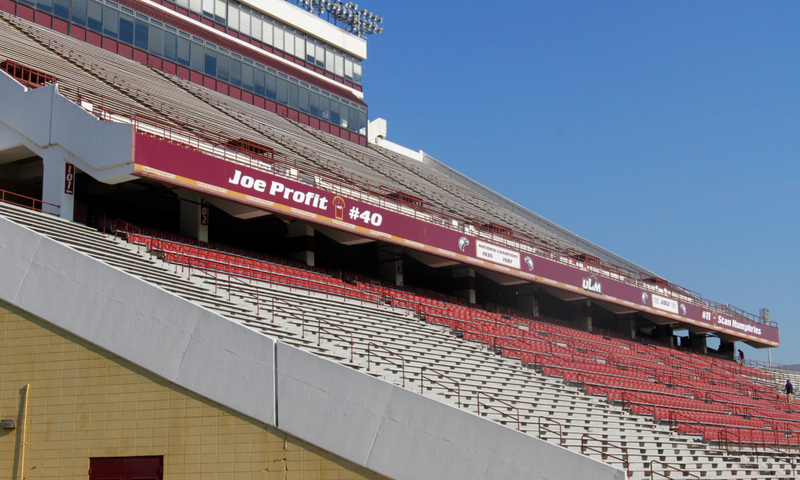 “As an average lifelong college and professional football fan, I knew Joe Profit’s name long before he ever knew mine. I had heard his name on the news and had seen him on television. I have learned his story of adversity and have seen how he has grown into the man he is today… Joe’s indomitable personality and his force of will have allowed him to prevail over countless formidable adversaries and abstracts. former National Football League player for the Philadelphia Eagles and retired educator. Published Author and Realtor, wife of former Chicago Bears, running back Tommy Neck. “Joe Profit is one of the most sincere and generous human beings I know, and I have known him for a long time. He came along during the time that segregation was ending and integration was beginning. He was the first African–American to play football on his all-white college team. During away games, he was a starter. However, during home games, he had to sit on the bench for the start of the games. But he never gave up. Joe Profit is an outstanding person who is dedicated to hard work and vigilance. In this book, you will learn how Profit’s life was transformed from ordinary living to an extraordinary life through the power of the God Almighty. If you are on the path to success or have already arrived, you will be compelled to read this book. It will definitely change your mindset. Profit’s story is a living example of how an ordinary person can turn life’s roadblocks – no matter your circumstances – into stepping stones! This book is available online at www.amazon.com and bookstores everywhere, or you can visit www.joeprofit.com for more information about Dr. Joe Profit-branded products and/or to receive an autographed copy, or an 8-pack CD disc. For digital downloads go to www.audible.com. The book proceeds are used to benefit the LEGENDS & KIDS® Young Authors™ Book publishing program of Youth United for Prosperity Foundation, a 501(c)(3) nonprofit organization. Youth United for Prosperity Foundation.